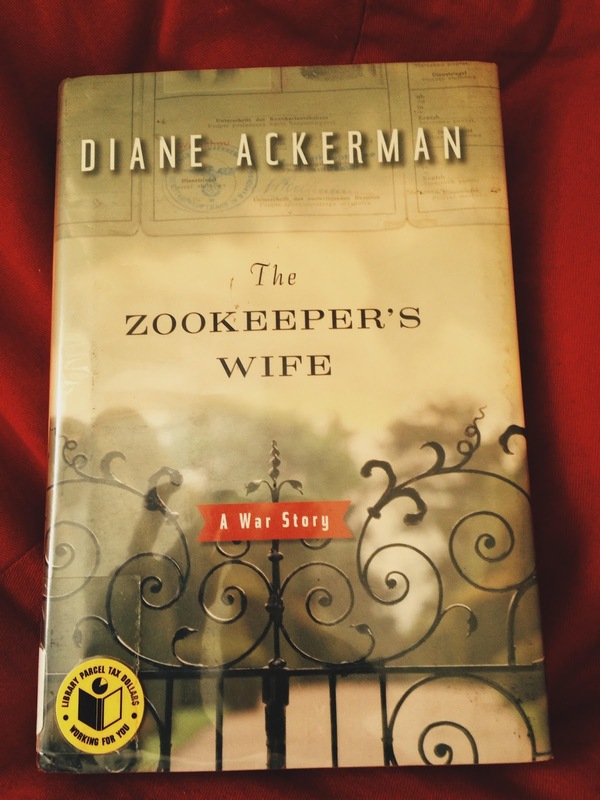 The Zookeeper’s Wife by Diane Ackerman is a real-life war story. This is the story of Jan and Antonina Zabinski, who ran the Warsaw Zoo in the 1930s. When Germany invaded Poland on September 1st, 1939 and with the beginning of WWII, Jan and Antonina’s lives as directors of the zoo came to an abrupt end. With Warsaw under siege, the Third Reich was working towards achieving racial purity, not only human but animals alike. One officer of the Third Reich in particular, Lutz Heck, was obsessed with back breeding animals to recreate their pure-blooded and extinct ancestors like the Tarpans and Aurochs. With that aim, most of the animals from the Warsaw Zoo were either shipped for experiments or inhumanly killed by German officers for the thrill of it. Antonina and Jan were shocked by Nazi savagery. Achieving racial purity meant doing away with Jews, Slavs and any other races which the Nazis did not consider Aryans. Reading about the Holocaust is bone chilling. Very few of the 3,80,000 Jews in Warsaw survived it. They were rounded up in the Warsaw Ghetto and then sent to extermination camps. The Zabinskis were horrified and in Poland where even offering water to a Jew meant instant death, Jan and Antonina managed to rescue 300 Jews. Jan would smuggle them from the Ghetto and they would hide these people in the empty animal cages. The ‘guests’ even went by animal names. The book focuses on Antonina more than Jan. Jan was responsible for sneaking people out of the Ghetto, right under the noses of the Nazis and Antonina was the one who cared for these houseguests, disguising them either as relatives or zoo employees or just as animals! She cleverly diverts the attention of any German guards that patrol the area, never letting them get the scent of all the refugees hiding, she makes up codes and secret songs which will alert the guests in the event of danger. I picture Jan as the Scarlet Pimpernel (by Baroness Orczy). The author has included a couple of stories where Jan, while trying to smuggle a Jew out of the Ghetto, almost gets caught but escapes by the breadth of his hair. Jan goes on to become a member of the Polish secret Army but Antonina is no less of a hero. She becomes the very face of hope to all the people who hide in her house. She takes care of them, collects scraps to feed them and her son and above all, gives them a few moments of respite from the horrors they have experienced, she gives them a small piece of home when they have nothing to lose. I believe wars bring out the worst and also the best in people. Janusz Korczak, a pediatrician, started an orphanage in the Ghetto. And when these children were to board a train to a concentration camp, Korczak joined them, fully aware of his imminent death, only to calm the kids when they faced death. Miraculously, not one of the 200 children who were condemned to death, cried or hid or tried to run away. They embraced death gracefully with their mentor, Korczak. This is an amazing story of bravery in the face of death. I only wish the author could have told it in a better way. There were too many distractions from the main story, too many animals and too many names to keep track of. She sometimes over-describes these animals, straying from the main plot and it got difficult to keep track of what was happening. I wish there was more about the actual war in addition to what went on in the Zabinski household. The book is excellently researched and heavily draws on Antonina’s unpublished diaries, but I wish there was a little more about Jan’s life, what he went through to bring ‘guests’ into their home. Having said that, this story will move you in a way that very few stories can. I can’t stop looking at photos and write-ups and anything else that I can find on the Zabinskis. And look what i found – It’s being made into a movie with Jessica Chastain playing Antonina! War stories are never pleasant but it’s people like Jan and Antonina that make you believe in humanity again. Sounds an ok-type book…too many characters is a big put-off for me. Thanks, Alok. The story is awe-inspiring, I just think it needed better telling. But I think if you like war stories, you should read this because everyone should know about the bravery and magnanimity of the Zabinskis. Thanks for bringing this book to my attention with a thoughtful review. I enjoyed Ackerman's A Natural History of the Senses, years ago. You're very welcome.I hope you enjoy this book, Jennifer! It's so inspirational. I have yet to read A Natural History of the senses. I have heard only good things about it. After reading All the Light We Cannot See, I have become obsessed with war stories like this one. Thanks for telling me about it! You're welcome, Nathan! War stories like this one make me thankful for ordinary days 🙂 I have to look up All the Light we cannot see.